When Constable Hector Evans returns to Chalmsley Court, he doesn’t expect the violent crime to be the murder of one of Lord Chalmsley’s guests. His lordship wants a quick resolution, before gossip about the crime’s salacious nature and trap-like killing becomes widespread. With no murder weapon, no identifiable clues, and no eyewitnesses, Hector has little to build a case. He has plenty of suspects, even when he realizes the murderer must be a woman. Even though other guests could have killed the man, Hector finds himself focusing on the Chalmsley family. Was it compulsive Cordelia? Obsessive Portia? Mad Aunt Beth, who gives him riddling clues as snippets of ballads. Hector would blame George, who grew up tormenting his sisters and torturing small animals, but George left two years ago for a rest-cure in Vienna. He can’t have returned, can he? Bee Seddars, the girl who broke his heart, is a distraction he doesn’t need, especially as she and her cousins are among those celebrating recent engagements. Bee is as lovely as he once thought her and seemingly the most rational member of the Chalmsley family, but he wonders if a few brief months so many summers ago could possibly give him an understanding of who she is. Hector can’t get Bee to open up about the Chalmsley family secrets. Unlocking those, he believes, is key to solving the murder. Yet she mistrusts him—while he thought she was the one who broke the trust between them, since she refused to write him after he was sent away to join the Bow Street Runners. In his first twelve hours on the case, the murder scene is torched and the victim’s journal is burned. In his second twelve hours, a second fiancé is murdered with the missing weapon. And Hector’s suspect lists remains an ell long and a grief wide. With madness looking like the strongest motive and only circumstantial evidence to build his case, will Hector find the murderess before she strikes again? Or will he discover his lost love is causing bloody death? He needs The Key to Secrets at Chalmsley Court. 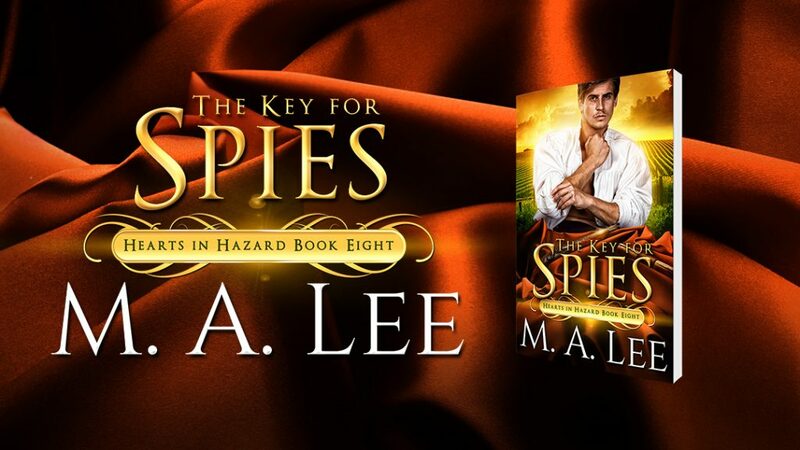 A cozy mystery of 66,000 words, The Key to Secrets is the seventh entry in the Hearts to Hazard series of Regency mysteries. Each book is a standalone novel, complete unto itself, with loose interconnections of characters. Constable Hector Evans was first introduced in The Danger to Hearts, the sixth Hearts in Hazards.